Fried Chicken Wings is yet another awesome, finger-licking recipe, easy to prepare and fast to cook. 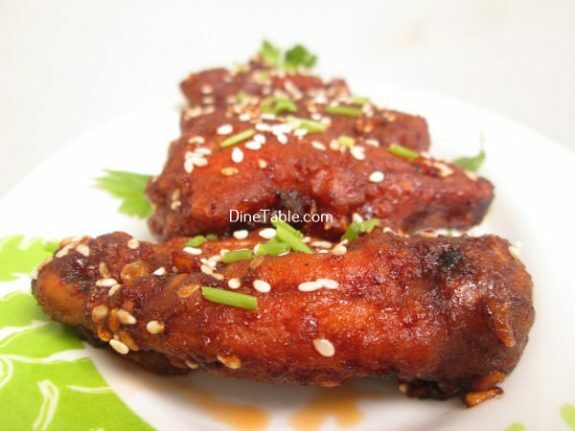 These delicious chicken wings are favourite in most parties that can be served as appetizers or starters. 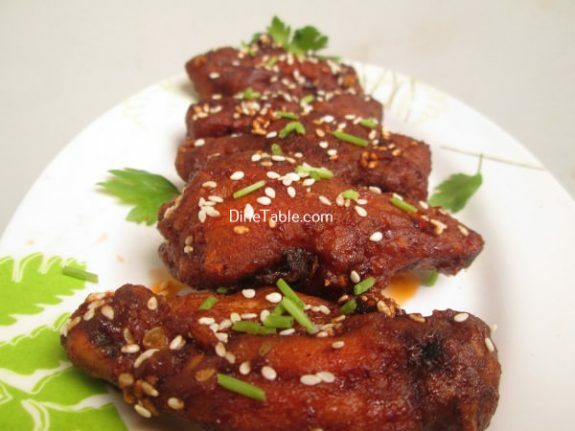 Chicken wings are marinated with baking powder, pepper powder, maida, 1 tbsp of corn flour, sesame seeds, egg and salt. 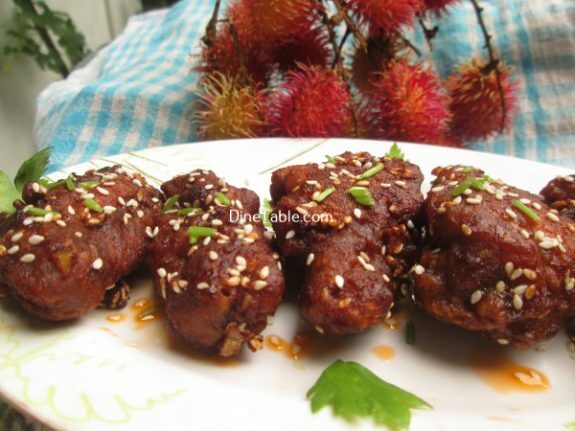 Then deep fried until crispy and golden brown and coated with sauces. 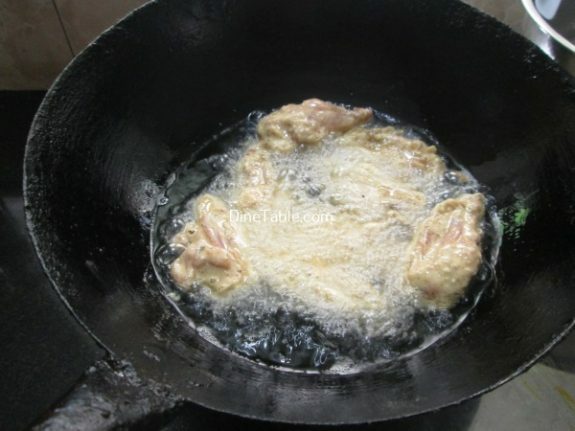 While chicken often provides an effective source of protein and typically is lower in fat than other meats, the frying process negates most of the health benefits you get from choosing chicken as your protein source. 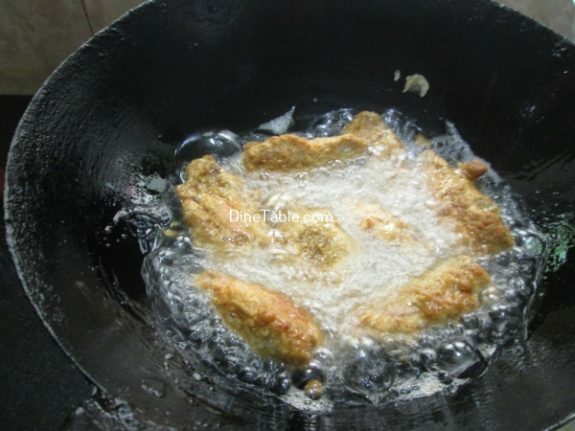 Tryout this yummy and quick chicken fry at your home. 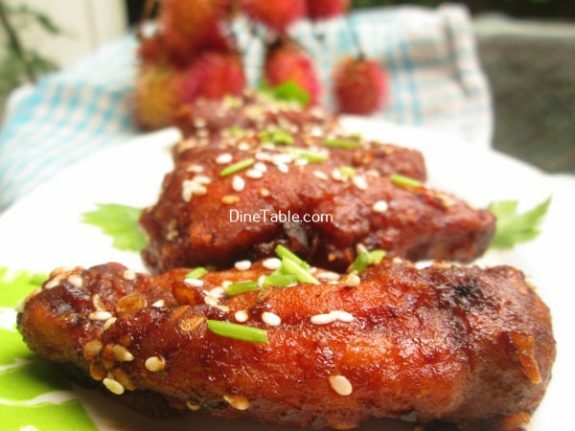 Wash and clean the chicken wings. 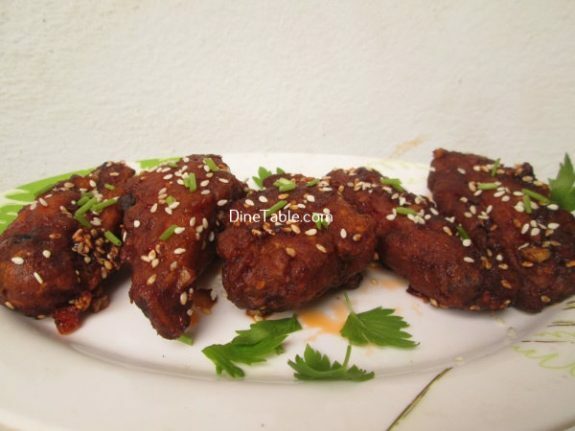 Take a bowl and add salt, baking powder, pepper powder, maida, 1 tbsp of corn flour, sesame seeds, egg and mix well. 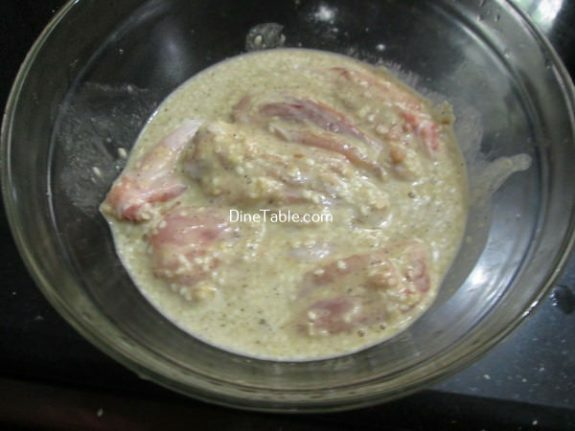 Add chicken wings to this and mix well. Keep this for 10 minutes. 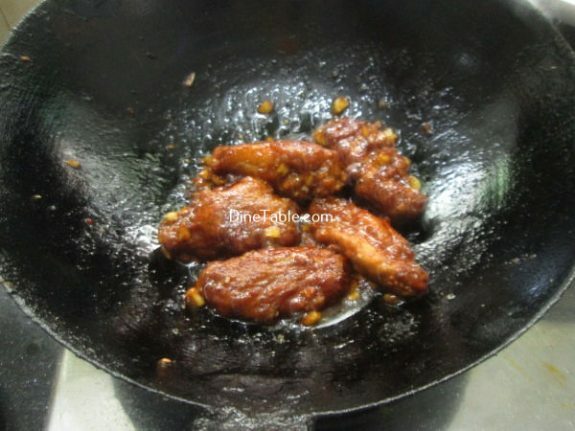 Heat vegetable oil in a pan and fry the chicken wings on medium heat till golden colour or about 5 minutes. Switch off the flame. Keep aside. 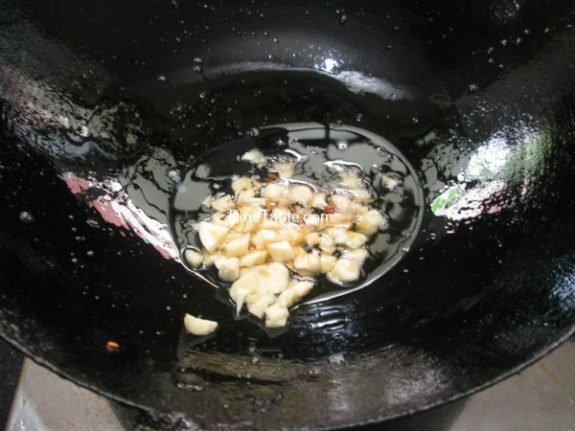 Heat 2 tbsp of vegetable oil in a pan and fry crushed garlic. 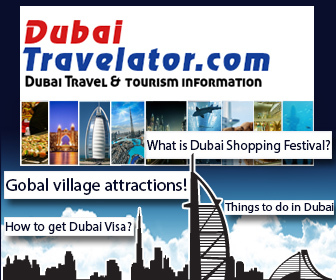 Now add tomato ketchup, sugar, red chilly sauce, soya sauce. 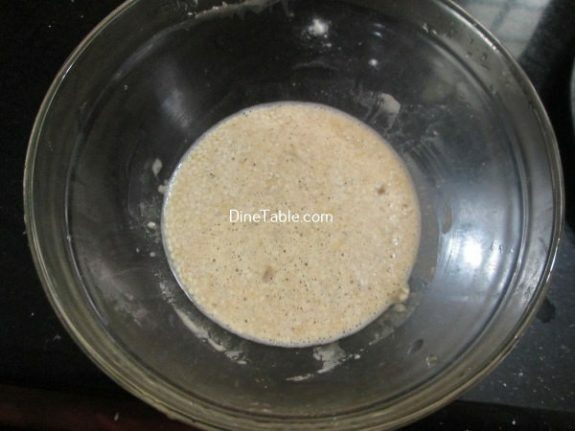 When this start boiling, add 1 tbsp of corn flour mixed in 2 tbsp water. 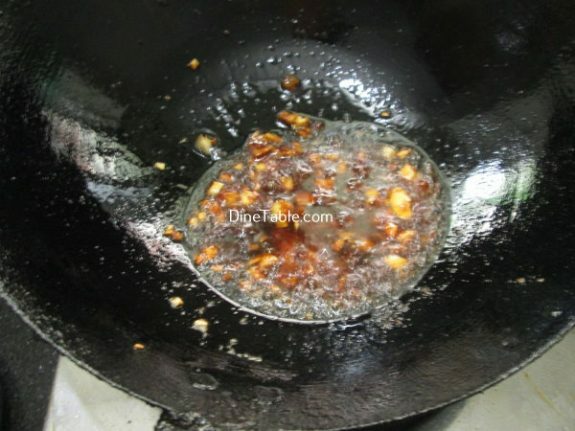 Cook this for 2 minutes. 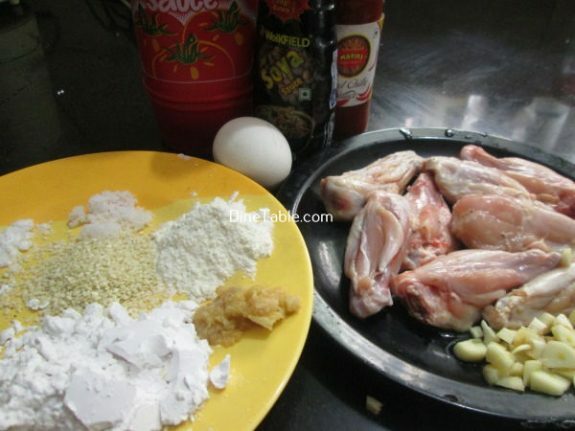 Add fried chicken wings into this and mix it well till all the sauces are well coated to the chicken wings. Keep stirring for 3 minutes on a low flame. Switch off the flame. 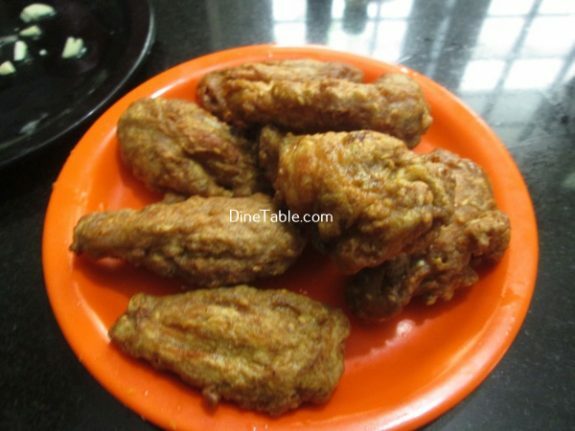 Yummy Fried Chicken Wings are ready. Serve hot. 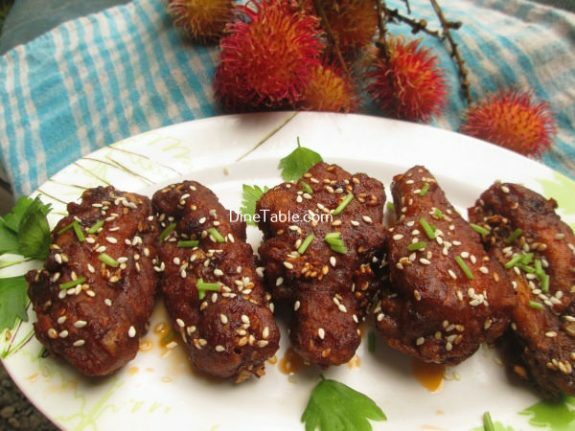 Garnish with white sesame seeds.